On Saturday August 25th members of Squaw Butte drove to Stanley Lake and set up camp in the overflow area where members of the Wilderness Volunteer trail crew and the USFS wilderness ranger would meet us. Around 3PM a truck stopped at our camp and ask us if we had noticed the smoke plum over McGown Peak? It had become a bit smokier but we had not noticed, but we did now. By 4pm it was snowing ash and the air was becoming very smokey. By 6PM the Wilderness Volunteers had arrived and we discussed the situation over a beer and the concensis was the McGown project needed a plan “B”! 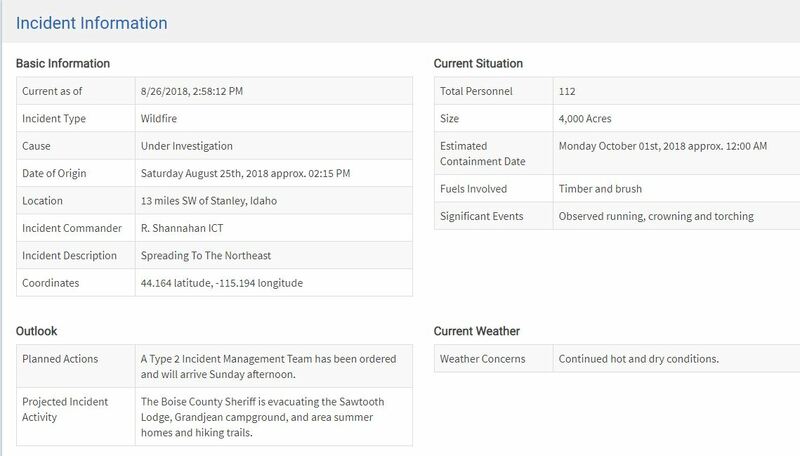 A phone call was made to the USFS Dispatch center and they Contacted Jay Dorr who arrived around 7pm. 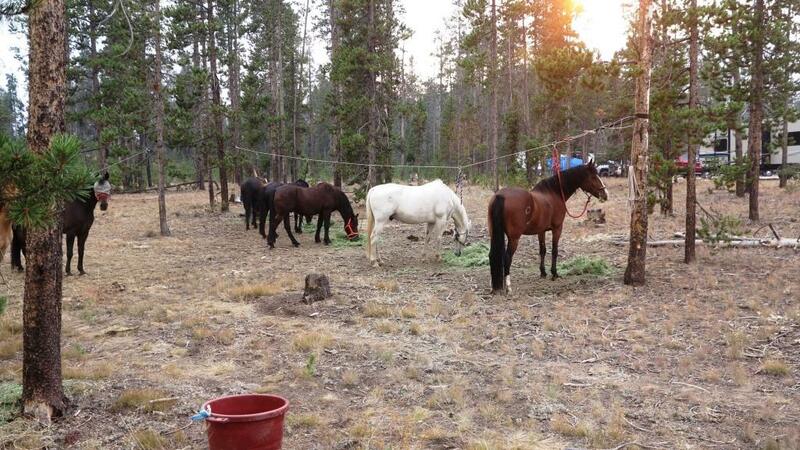 The WV crew had moved their camp to a camp ground NE of Stanley along the Salmon River. 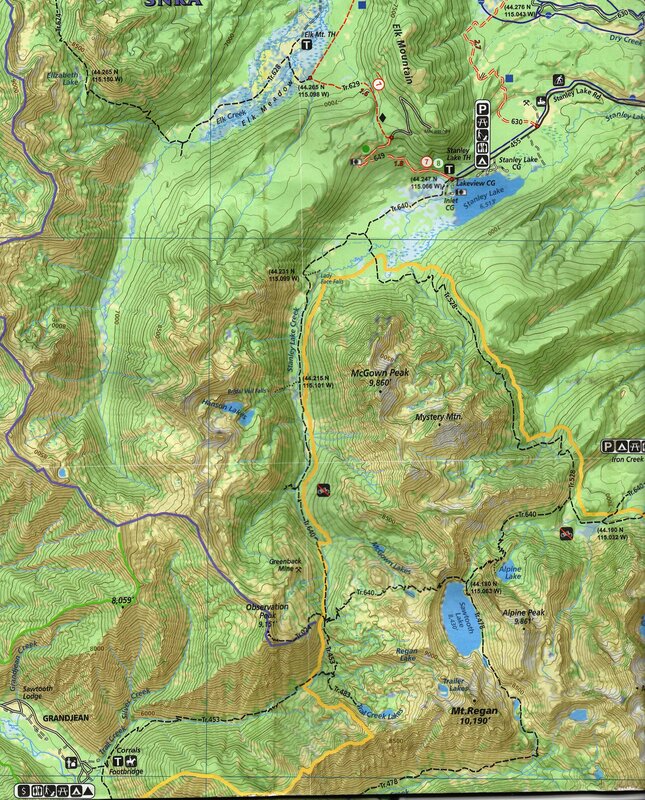 Jay agreed that the McGown Lake project was toast for this year and he would talk to the WV crew about working on the Queen’s River trail near Atlanta, ID which would not need pack support. 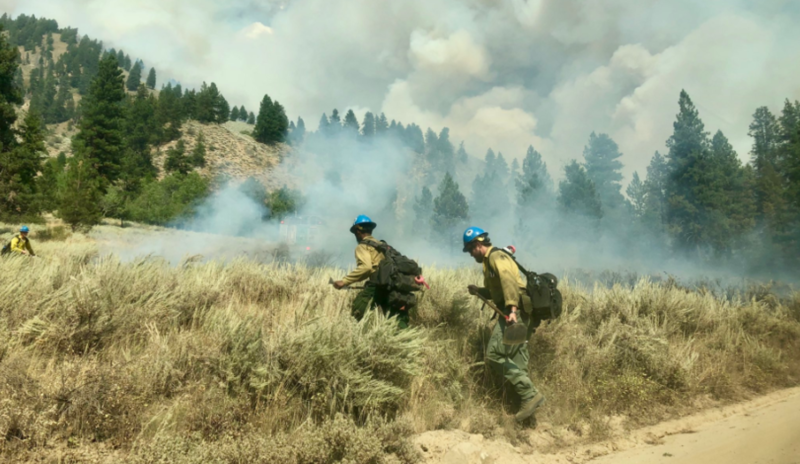 The Squaw Butte team talked about leaving then or waiting for morning and chose to stay. 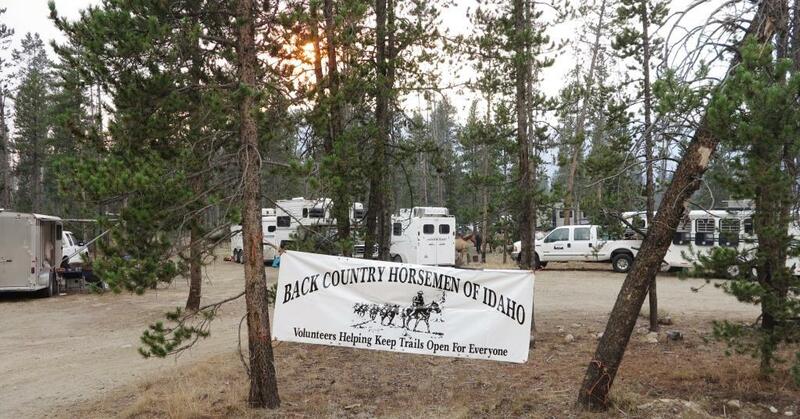 BUT, by 11:30 pm the smoke had gotten worse and Rob decided to bale, waking up everyone while packing up and loading his stock. (ROB) If you want to see wild life drive from Stanley Lake to Banks after midnight! Deer (many), Elk (6),Fox (2), Owls (2) and some weasel like animal. Elk were standing in the middle of the road around a blind corner, didn’t hit any, but it caused me to slow down even more from the 40, I was doing going down the hill from Banner summit to Lowman. Smoke made driving conditions fog like. (Terry) turned into a very interesting night after you left, Jon’s horse tried to kill himself on high line, got back to bed and David decided to load his mules, so it was a short night! 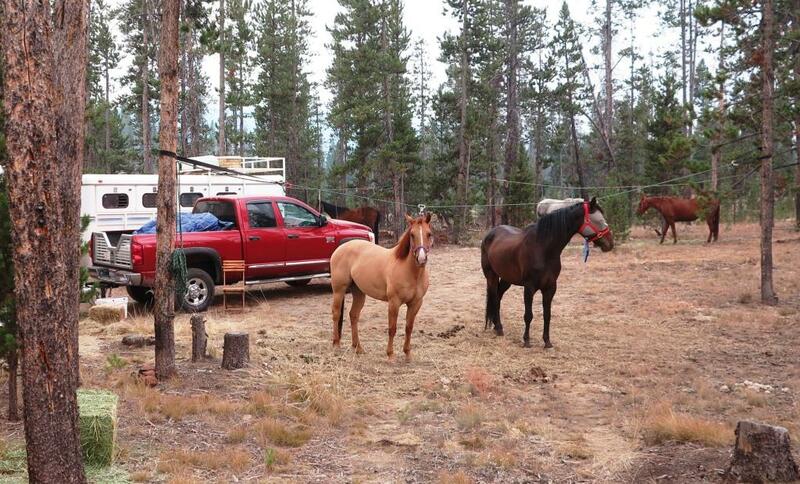 We were going to go to Bull Trout Lake, but Jon’s horse was swollen from rope burn so just came home. Trail we would have used to take the crew into McGown Lake in relationship to the fire on Saturday. 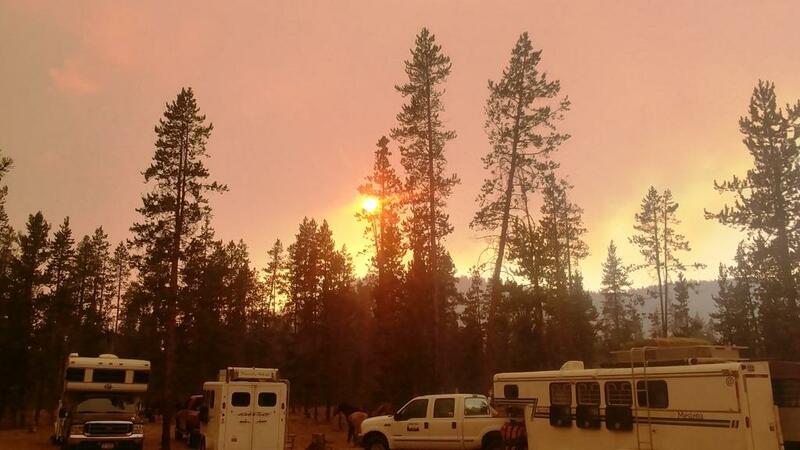 Fire crews continue to battle the Wapiti Fire, located near Grandjean, which is now an estimated 4,000 acres. A Type 2 Incident Management Team has been ordered and will arrive this afternoon. 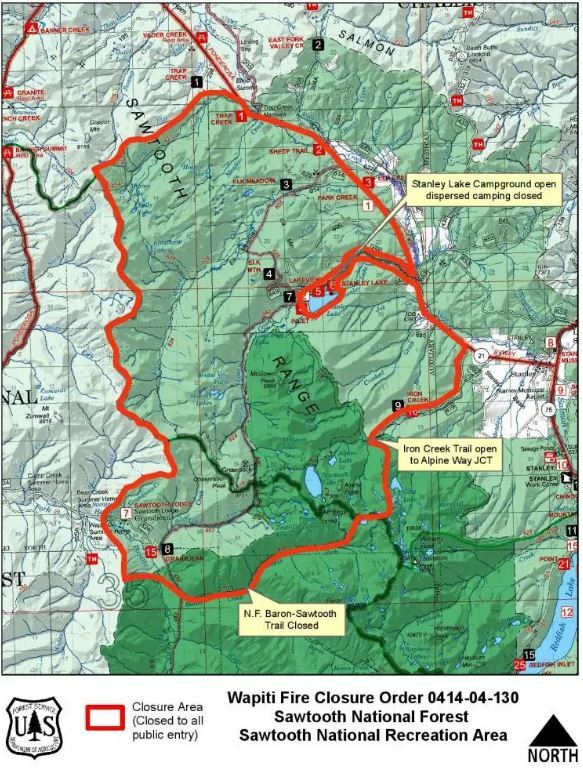 An area closure is being put in place around the Grandjean area for public and firefighter safety. National Forest System Road 524, which leads from Highway 21 to Grandjean, is closed. Four cabins and 1 outbuilding have been lost to the fire. No injuries have been reported. The fire has burned actively throughout the morning. 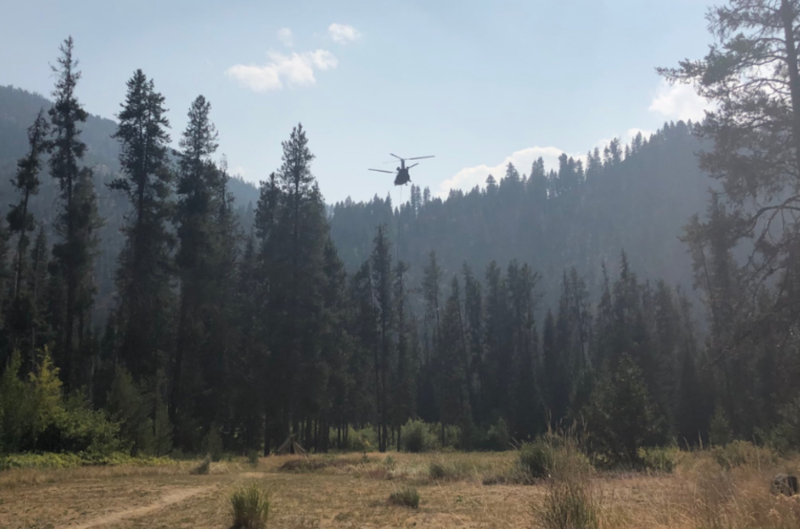 While several spot fires have been found south of the South Fork Payette River, they have all been caught to this point. Firefighters continue to patrol this area to keep the fire north of the river. Currently there are 7 engines, 3 helicopters, 3 heavy air tankers, 1 handcrew and 1 water tender engaged in fighting the fire. Several more handcrews, along with engines and water tenders, have been ordered. The fire was first reported at 2:12 p.m. on Aug. 25 and the cause is under investigation. Currently there is no reported percent contained, nor is there an estimated date of full containment. 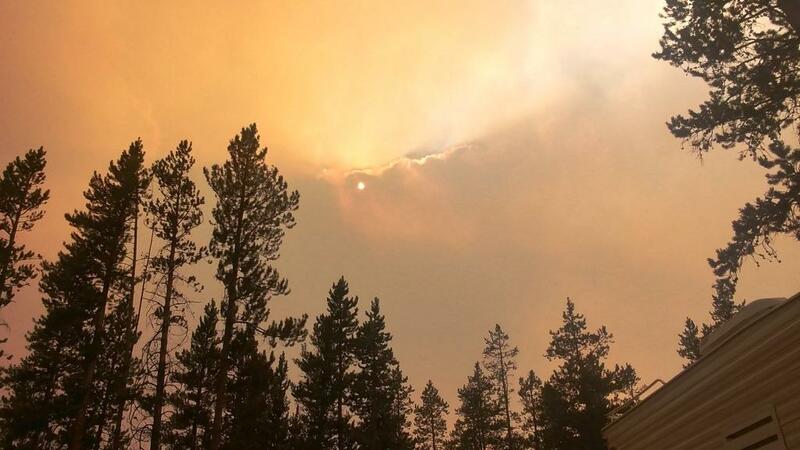 Cabin owners and those who had to abandon campgrounds during the evacuation as asked to call the Lowman Ranger District (208-259-3361) for information about when it will be possible to gain access to the area. Apologies for delay in response. Work has been busy. We took 3 volunteers up to the big horn Crags and they put in for the rest of the week on a backpacking trip. Darrell and I stayed up there until Thursday, then headed back to Boise to visit friends. 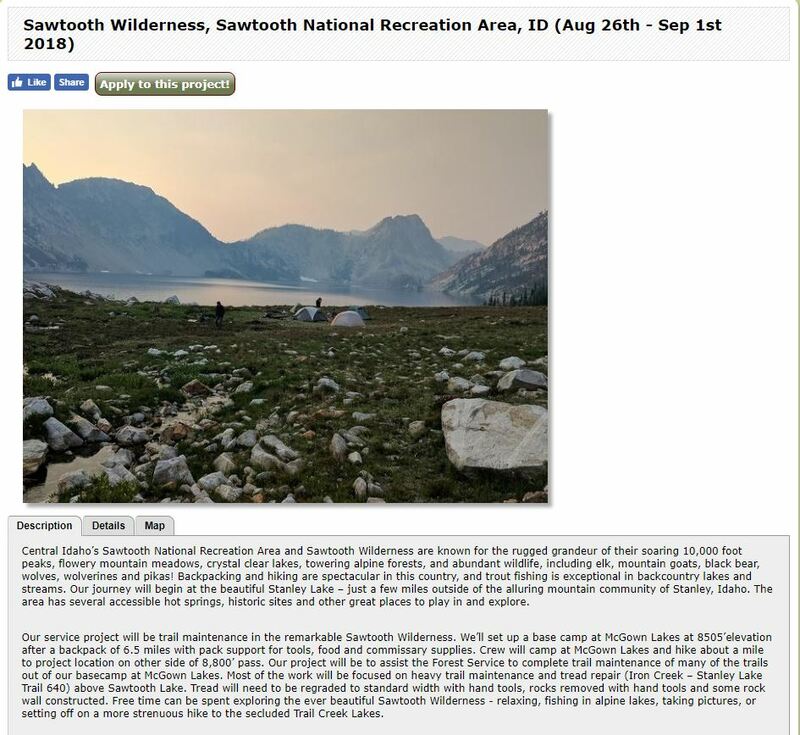 When driving through Stanley, we noticed that the Sawtooth Wilderness area was still closed. We are on the trip as leaders for next year, but we have asked for earlier dates in August. 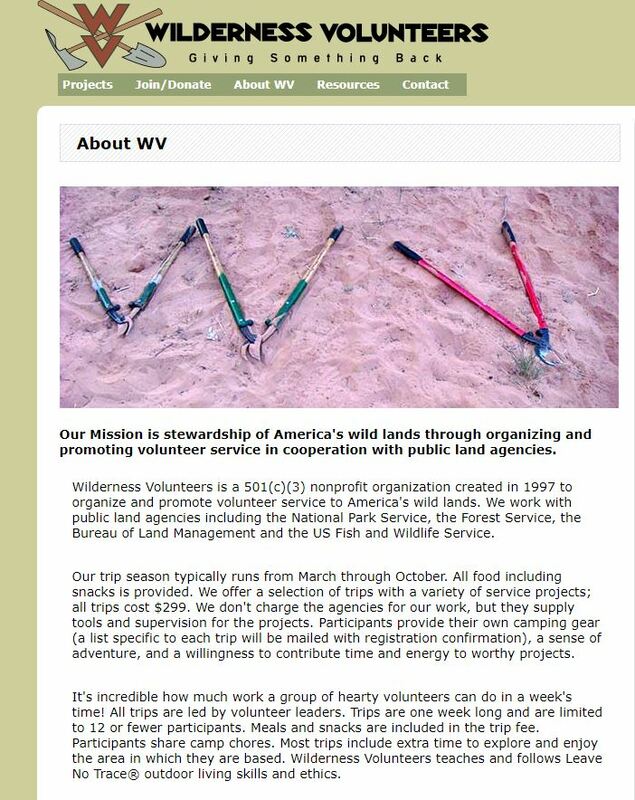 Wilderness Volunteers will arrange the trip dates and release them before Xmas. I’ll keep you in the loop. We wanted different dates, as the booking is slim during holiday times (Labor Day). We can get a full group booked, we can accomplish a considerable amount of work. I’ll let you know the trip dates or contact Aida at Wilderness Volunteers if you have input for trip dates. I’m not sure who the FS contact will be this year, as Lies & Jay are both retired now. Hope you fall season is going well!